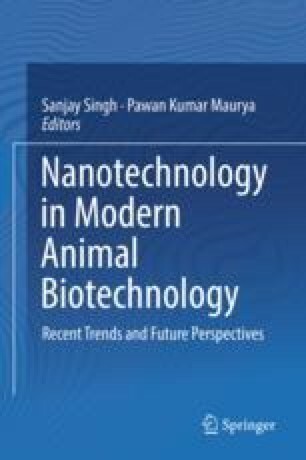 Gold nanostructures – due to their ease of synthesis and functionalization, unique tunable optical properties and stability – are widely being explored for their applicability in sensing, diagnostics, drug delivery and cancer therapy. Engineering different gold nanostructures with varying shape and size enable us to tune the localized surface plasmon resonance (LSPR) peak from visible to near infra-red (NIR) region of the electromagnetic spectrum, which can be exploited for biomedical applications. For example, gold nanorods show two peaks in their extinction spectra, corresponding to the transverse and longitudinal mode of surface electron oscillation on the influence of light. Similarly, other gold nanostructures with different morphologies like nanoshells, nanorattles, nanostars, nanopopcorns, nanoaggregates, etc. too have extinction band in the NIR region, which has a better tissue penetration depth. This strong optical absorbance of the gold nanostructures, especially in the NIR region and subsequent dissipation of energy in a nonradiative process can suitably be exploited for plasmonic photothermal therapy (PPTT). In this regard, NIR light stimulated heat can be generated from the targeted gold nanostructures and this can potentially be used to kill cancer cells. The present chapter discusses about the design and applicability of gold based nanostructures of different morphologies for efficient photothermal therapy. Authors Prem Singh and Shounak Roy have equally contributed to this chapter. AJ gratefully acknowledge the financial support from Indian Institute of Technology Mandi, Department of Science and Technology (DST) under project number: SERB/F/5627/2015-16 and Department of Biotechnology (DBT), Government of India, under project number: BT/PR14749/NNT/28/954/2015. SR would like to acknowledge DST INSPIRE Fellowship programme [IF160513] for providing doctoral fellowship.